Integrated CCTV have had the opportunity to interview Todd Rockoff, Executive Director of the HDcctv Alliance. We sought to discover why uncompressed HD over coax is being seen as the way forward for CCTV installers and find out whether there is substance in the technology. We begun by asking Todd about the history of the HDcctv Alliance and how it all started. 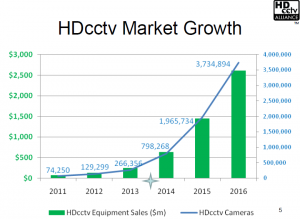 We find out about the predicted growth of HDcctv over the next 5 years and ask about the pitfalls and how HDcctv fits in with IP surveillance solutions. The interview is fascinating and reveals the thought and expertise that has gone into what is referred to as the third way. However in reality could HDcctv actually be the primary way forward for CCTV installers especially here in the UK? So Todd how did it all start? HDcctv Alliance® is the non-profit industry association that develops and promulgates the specification for high-definition closed-circuit television (HDcctv) interfaces. The V1.0 HDcctv specification is derived from broadcast industry standards for digital serial transmission of uncompressed video over coaxial cable, while HDcctv includes further capabilities specifically addressing the unique needs of surveillance, for example adding optical fibre and unshielded twisted pair transmission to future versions of the standard The HDcctv Alliance is a trade association of surveillance equipment and component manufacturers working in unison to build the HDcctv market. HDcctv-compliant products bear the distinctive HDcctv logo that guarantees transmission characteristics, interoperability with other manufacturers’ HDcctv-compliant products, and compatibility with future versions of the HDcctv standard. An up-to-date list of HDcctv-compliant Products is maintained at highdefcctv.org compliant-product-finder. The Alliance also plans to offer an HDcctv Certificate that may be earned by video surveillance system designers, installers, and dealers through a professional education program. When was the HDcctv Alliance formed? Todd where are your headquarters? How many staff does the HDcctv Alliance employ? TR: Executive director, global events and logistics coordinator, plus several part-time contributors covering specialties from corporate law, accounting, bookkeeping, collateral and website development, and intellectual property law. Our core staff is lean and globally distributed, taking full advantage of Internet-mediated communications. The Alliance carries out its primary functions through the operations of a marketing committee and a technology committee, so the Alliance relies heavily on volunteer contributions from the staff of Member companies. How quickly have you grown as an organization? TR: Please see the attached graph showing how the Alliance has grown from an original handful to the current 64 Member companies.The fact that the growth comes in spurts, while sometimes we lose Member companies in the face of global economic challenges, reflects the volatility of the security equipment industry. The logos of Member companies are listed at www.highdefcctv.org in the order in which the companies joined the Alliance. It is interesting to note that the Members joining recently include many Chinese companies, as well as many companies making chips for video transmission. Todd what is your role within the HDcctv Alliance ? TR: I am responsible for all facets of the Alliance’s operations, for example ensuring smooth, effective operation of the committees; recruiting new Members; managing finances; reporting to the board of directors (who are selected by the Steering Members); and also reporting to ASIC. I also take care of the website, public relations, seminars, parties, and other events. I am a dedicated spokesman for the industry, although increasingly acute observers such as yourself around the world are beginning to step up and articulate from their own points of view the compelling advantages of HDcctv equipment. What inspired you to start the HDcctv Alliance? TR: We wrote an article about the formation of the Alliance that came out a few months ago, still showing at the top of blogcatalog. The coincidence for me was that at ISC West in April 2008, a major OEM customer of EverFocus, where I was VP of Global Sales for the ODM business unit, challenged me to “unlock HD for the installed base.” Later the very same day, that I met Gareth Heywood of Gennum, who was beginning to promote the Aviia transmission solution for HDcctv. How do the HDcctv Alliance help promote HD over coax ? TR: The growth of the market for HD over coax will be limited if manufacturers’ products do not interoperate or disappoint with respect to electrical performance. So as a first aid to the growth of the market, the Alliance has developed a comprehensive standard, including an exacting and specific compliance certification regime, that allows manufacturers to guarantee electrical performance, interoperability, and forward compatibility with subsequent versions of the standard. In addition to developing the standard, we provide education at all levels of the surveillance equipment industry, from chip makers through product manufacturers to OEMs all the way to integrators and installers. How is the HDcctv Alliance funded? Who contributes and why? HD SDI cameras and HD SDI DVRs are all the same aren’t they? Why do we need the HDcctv Alliance? TR: This is one of the great misconceptions of the current rush into HDcctv equipment: Increasingly, manufacturers readily recognize the uncompressed-HD-over-coax opportunity, and many think that HD-SDI is enough. However, HD-SDI is not enough. There is no comprehensive HD-SDI standard; HD-SDI is actually a loose collection of specifications developed over the past decade or so for broadcast television studio equipment. Critically, there is no compliance certification for HD-SDI. HD-SDI is appropriate for broadcast TV studios, wherein it is acceptable to send an engineer to install expensive cameras and adjust equipment to make everything work. However, surveillance demands mass produced interoperability and repeatable performance. Not all HD-SDI products are the same; in fact HD-SDI products have already been shown in some surveillance applications to deliver disappointing electrical performance or not to interoperate. Every time an end customer buys two pieces of equipment that don’t work together for one reason or another, the growth of the industry suffers. The HDcctv Alliance therefore provides a vital service in delivering a comprehensive interface standard that facilitates the fastest possible growth of the industry. Despite the obvious advantages there seems too few people other than Everfocus promoting HDcctv in the UK. Is this technology losing momentum.? TR: I reckon it’s just getting started. EverFocus is selling products, some of which were designed in late 2009. While early movers like EverFocus continue to expand their HDcctv product lines, other more recent entrants will continue bringing more choice to end customers. The most recent entrants to the Alliance include European companies, and I hear positive indications from several others. Do you ever see the likes of Panasonic, Sony or any other of the “big boys” jumping on the HDcctv bandwagon? TR: You may have noticed that Samsung, who had the biggest booth at IFSEC 2011, featured their first HDcctv prototypes there. Samsung’s ASIS 2011 booth reflected an even bigger move into HDcctv, as did their CPSE booth in Shenzhen last week. 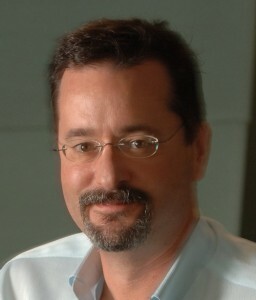 Many incumbents face the marketing challenge of having committed resources and reputations to the notion that every HD surveillance camera should be an IP camera, and history suggests that the bigger companies sometimes take the longest to re-think such assumptions based on empirical evidence. So yes, we expect everyone in the industry eventually to offer HDcctv, why not? It’sjust hard to say when each company will make its move. What are the main features that make HDcctv cameras more attractive than a networked HD camera? TR: Several advantages leap to mind: No camera boot-up time. No compression latency. No compression artifacts. Unadulterated live views. As-simple-as CCTV installation, commissioning, and operation, no specialist IT knowledge required on the local site. No camera LAN programming required. No reliance on high-QoS local-site IP LAN implementations to achieve high-quality video Ready integration with IP LANs (via DVRs and encoders) for enterprise-scale solutions. All cameras on a local site share a single network switch port, versus one port per IP camera. As-simple-as CCTV camera and DVR architecture, enabling low-make-cost implementations. Converting from an HDTV signal to an Ethernet packet stream in every camera requires adding sophisticated hardware to the cameras and running a local-site IP LAN to every camera mount, all for the purpose of eliminating potentially valuable forensic evidence before it can be transmitted from the camera; how does that system architecture improve surveillance, in the general case? Who do you think are the main technology ‘drivers’ for HDcctv? TR: For cameras, transmission circuits that integrate with signal processors; for DVRs, multi-channel receiver chips with multiplexing/scaling capabilities. Several HDcctv Alliance Member companies are reportedly developing new chips that will deliver unprecedented surveillance capabilities at very competitive total cost of ownership. 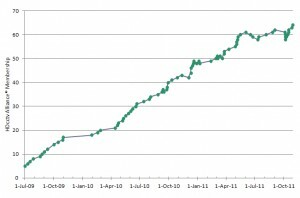 Will HDcctv eventually get up to the definition level of IP – i.e. 5MP and above? TR: The Society of Motion Picture and Television Engineers (SMPTE) developed the original HDTV standards, including the various HD-SDI specifications. The HDcctv standard is developed under a unique license agreement with SMPTE that allows the Alliance to re-use and refine the SMPTE standards to suit the unique needs of surveillance. As a result of this licensing arrangement, HDcctv will track the SMPTE HDTV formats through their evolution, currently planned above 16MP per frame of video. For the next few years, we are focused on adding capabilities such as power-over-cable and native optical transmission while preserving the progressive-scan 720 and 1080 resolutions implemented in V1.0 HDcctv. By the way, another often unexamined assumption is that a 5MP IP camera actually delivers a 5MP video stream. Over what local-site IP LAN? At what frame rate? What quality image in each frame? Depending on available bandwidth, an IP camera with a high-resolution sensor may actually deliver lower-quality video than even an analogue CCTV camera. Will we be able to maintain HD quality over more than 90 metres in the future. Why has HDcctv not seen huge growth, despite it’s apparent ease of installation and massive ‘legacy installed’ existing systems to upgrade. TR: It’s still a new technology. The Alliance is just over two years old, and first-generation HDcctv equipment is designed using chips designed before the Alliance existed. For perspective, consider how far IP cameras had penetrated the market 3 years, or even 10 years, after their initial introduction. The best is yet to come. Is HDcctv another Betamax versus VHS that might actually die out before it becomes big? TR: Betamax and VHS were two very similar tape formats with almost arbitrary differences; the outcome was determined in a marketing war. HDcctv, on the other hand, benefits from profound physical and architectural advantages over the alternatives. IP seems to win on large(r ) systems in that NVRs offer licence and per camera upgrades….. therefore, does an HDcctv encoder / VMS solution seem like a good route to explore to enable true comparison? TR: Yes, HDcctv is not an alternative to IP video for integrating large systems. Rather, HDcctv is often an ideal choice for connecting a collection of cameras at a local site to a central point. HDcctv DVRs are great IP encoders or, if the application does not demand storage on the local site, then HDcctv cameras directly to IP encoders are an attractive alternative to running the local-site IP LAN to every camera mount. HDcctv is a local interface technology optimized for carrying digital HD surveillance video within the local site; Ethernet is a flexible networking technology optimized for carrying packets through lossy channels over potentially long distances. HDcctv and IP video can be used to great effect together. However, many in our industry are wedded to the idea that every camera should provide an Ethernet output, despite the many facts that mitigate against that choice in the general case. Finally Todd , where do you see HDcctv as a global product in 3 years time? TR: Please see the attached market analysis. My expectations for the future are based on the chips being developed now that will see their way into products selling broadly through distribution in 3 years, many of which will be compliant with V2.0 HDcctv. Assumption for growth over the next 5 years. Integrated CCTV would like to thank Todd for his time. It certainly gives customers and installers a choice that previously was unavailable. The upgrade path to HD is inevitable, the predicted growth must excite CCTV installers and manufacturers alike. It now seems that HDcctv over coax will play a very big part in this HD revolution. Interesting times ahead. Look out for the HDcctv logo (below) for compliant products and manufacturers. This entry was posted on Monday, November 7th, 2011 at 01:11	and is filed under HDCCTV. You can follow any responses to this entry through the RSS 2.0 feed. Both comments and pings are currently closed.